Double check your check-in time- The Check-In time is 30 minutes before trip. Check your reservation sheet. A 9:30 trip means it leaves at 9: 30. If you are still unsure of your check-in time, call us and we will assist you. 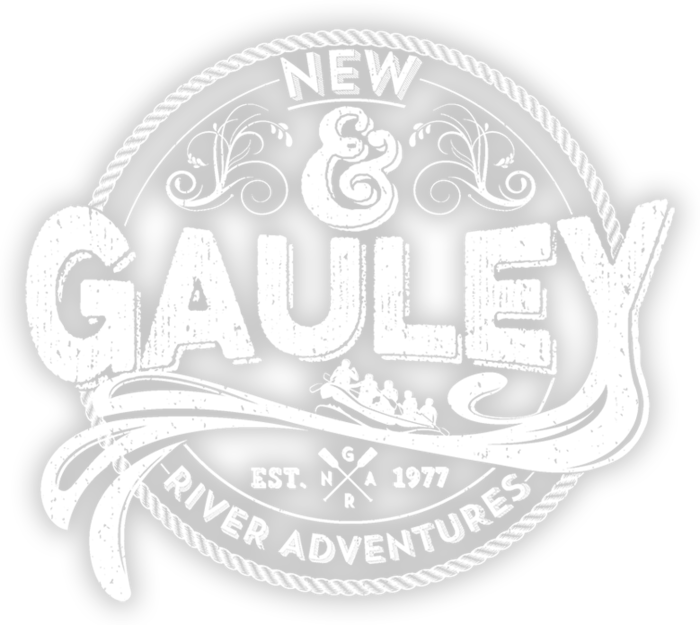 At New & Gauley River Adventures, safety is our first concern both on and off the river. As in every adventure sport, there is risk involved in rafting. 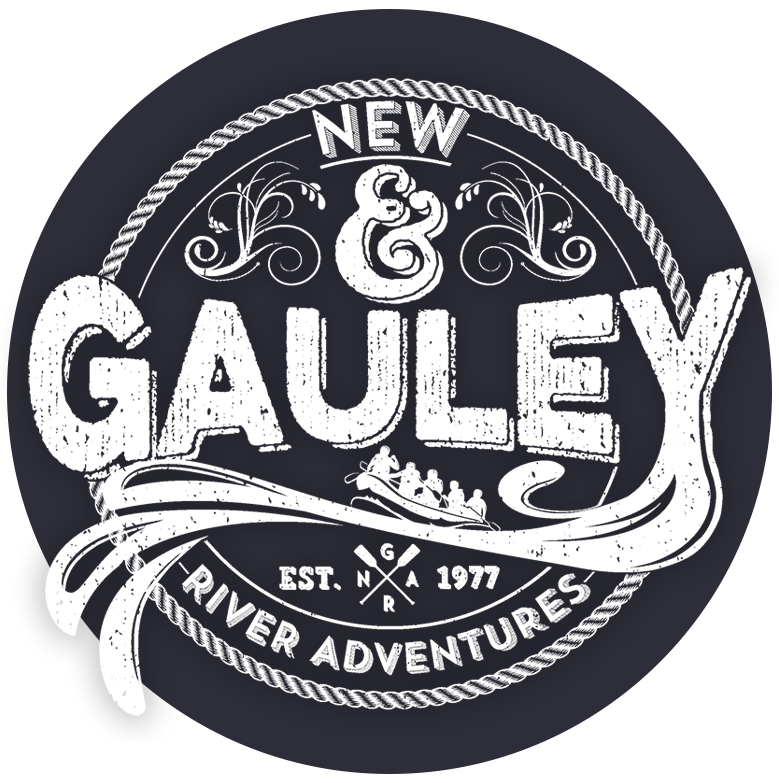 Yet every year, hundreds of thousands of visitors go rafting on the New, Gauley and other West Virginia rivers without incident. Experienced guides, state-of-the-art equipment and proven safety techniques are all part of the reason. But the No. 1 factor ensuring a safe trip down the river is your cooperation and participation in safe rafting. All of our guides are thoroughly trained, many beyond the state’s already stringent requirements. Your role is to listen to your guide and follow his or her instructions as you travel down the river. Rafting is a participation sport— a crew that works together and follows instructions is your best guarantee of safety. We’ll teach you all the techniques you need to have a safe and exciting trip. Our fully self-bailing rafts are river-tested to be responsive and dependable throughout your trip. Our personal floatation devices are top-of-the-line. Our transportation to and from the river is safe and reliable. Finally, we’ll work with you to accommodate any special needs or concerns you may have. Be sure to let your guide know of any pertinent medical conditions you or other members of your party might have. Likewise, let us know if you require any special medications or have any allergies that might pose a problem. Most importantly, if you have any questions, just ask! Working together, we can tailor your trip to your capabilities, needs and wishes. Important Note: We expect every one of our guests to adhere to the same high level of personal responsibility. In that regard, alcohol and/or recreational drugs are strictly forbidden on the river. Violation of this rule will result in immediate termination of your trip. An impaired rafter is not just a threat to himself, but to everyone else on the river. Be smart, and be safe! Spring and Fall in West Virginia vary tremendously from warm and balmy to cold and rainy. A wetsuit will be helpful to keep your body warm, and luckily we have them for rental. Wool and polypropylene are great to wear on cold occasions, as they keep heat in and don’t hold water or moisture. Wools socks are very important on cold days, and gloves are recommended. Summers in West Virginia are usually hot and humid, but a quick thunderstorm can turn a warm day into a cold day with chance of hail. Even the hottest afternoon can cool down with the wind once the sun goes down. So definitely pack warm clothing for evening wear but during the day wear sunscreen. Always Remember to Bring A Change of Clothes & Towel! You will be on your adventure trip all day, so dress for comfort. You are also going to get wet on a rafting trip, either voluntary or involuntarily, so dress accordingly. Sandals or Tennis Shoes- You need something that is secure on your feet so you don’t lose it. Socks- Optional depending on weather. Preferably wool or a chemically bound material that dries quickly and does not hold water. Change of clothes for when you get off the river. To make your overnight trip more comfortable there are some things you may want to bring along. Remember you are camping on the river and it is primitive, so you will need to bring a lot, we will provide camping gear (tents), food and beverages, and campfire. A bathing suit, sunglasses, and tennis shoes are standard at any time of year. For spring or fall trips, you may bring a polypro or wool sweater and hat, and a windbreaker. Wetsuit rental is available for especially nippy days, and don’t forget a change of dry clothes and shoes! Have a professional video photographer capture your outdoor vacation on video tape! Reserve your video when you reserve your trip. If you have questions call 1.304.574.3008 or for reservations call 1.800.SKY.RAFT. We can also arrange camping for you, from primitive sites to RV sites with full hookups, or you can reserve luxurious or rustic cabins. We can cater to you and your group at our base camp. Please make meal reservations when booking your vacation. All meals are delicious, generous and include all the trimmings. Special menus can be arranged with due notice. As with all service industries, gratuities are not required, but are certainly appreciated by our guides as well as our catering staff.